A fascinating and timely account of an undercover investigation of the Ku Klux Klan led by the author, the first black detective in the Colorado Springs police department. 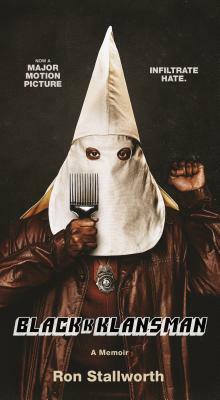 The book forms the basis of the movie, BlacKKKlansman, written and directed by Spike Lee, produced by Jordan Peele, and starring John David Washington and Adam Driver. The entertaining, engrossing and improbable memoir of a black detective who infiltrated the Ku Klux Klan - no wonder this story inspired Spike Lee to bring this incredible story to the screen.